Continuing in the theme of surprising places to find wine, let’s take a look at China. The country is reportedly the seventh largest wine producer in the world (according to the International Organization for Vine and Wine). Which means more wine is made in China than in Chile or Germany or Portugal or New Zealand. 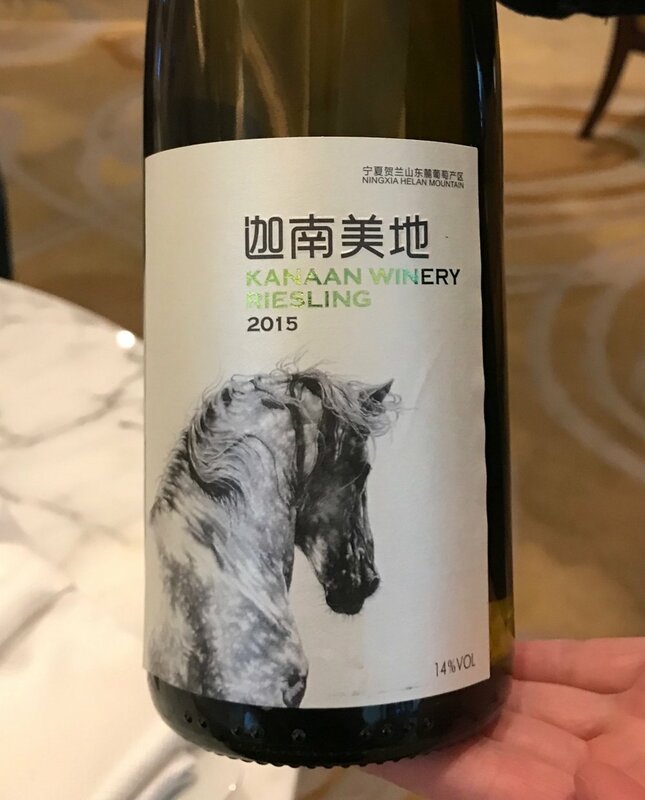 Being naturally curious (and a little skeptical), I decided to do a little of my own Chinese wine research while visiting Shenzhen, Guangzhou, and Shanghai (all massive cities of 12 million or more residents). I can't quite wrap my head around 11.4 million hectoliters (the estimated output of Chinese wineries in 2017), but I know that's a LOT of wine! With that much local wine flowing through the country, I expected that finding and trying some would be easily accomplished. To the contrary, I soon discovered that Chinese-made wine is somehow not well-known, even within China. Locating representative Chinese wine was not a simple matter of just following directions. A typical neighborhood wine merchant in China doubles as cigarette shop as well as liqour store. French wines are most prominent followed by Australian and Chilean. While preparing for my trip, I emailed ahead to ask my hotel about which Chinese wines I'd find served in the onsite restaurants. In response, the staff suggested I try Tsingtao (a famous beer) or Baijiu (a distilled rice spirit). After a few email exchanges, it became clear that Chinese wine was not top of mind for my hosts and that finding some might prove challenging. (I also later learned to ask specifically for "grape wine" to help address any potential confusion.) 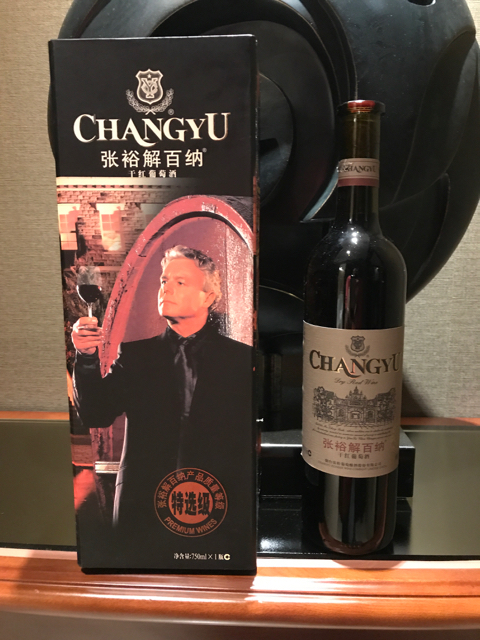 After I arrived in the country, I visited several international hotel bars and restaurants in the neighborhood and discovered only two Chinese wines (compared to hundreds from other countries) which were only available to purchase by the bottle. I also found no Chinese wines in the fancy wine specialty shops in the central business district (just a lot of blank stares when I asked for some). Wine (especially from France—prestigious, Australia—reasonably close, and Chile—affordable due to very friendly trade terms) is readily available and sought after by local consumers, but Chinese wine was hard to find. And No Chinese wine here. No Chinese wine here, either. Care to guess what country's wine is not to be found in this retail establishment? A typical wine by the glass list in a hotel in China presents broad geographical variety but nothing from local producers. 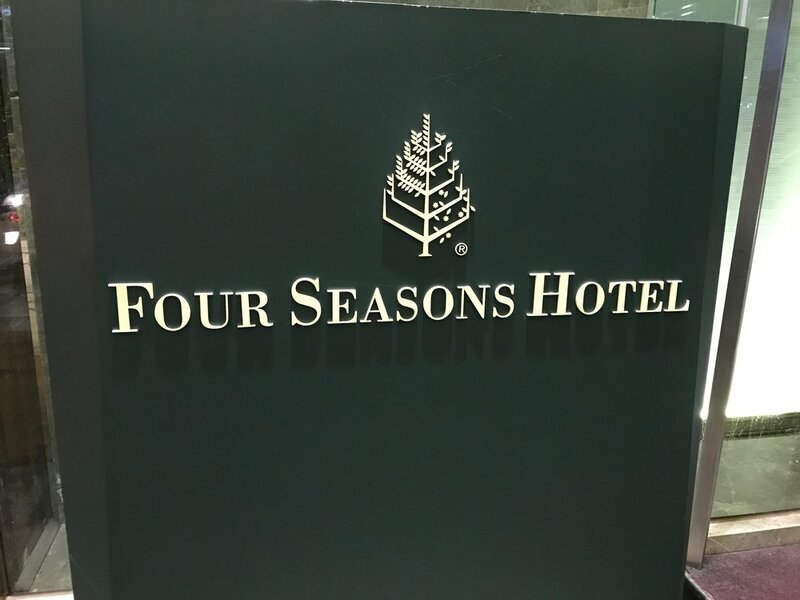 Of course, I was in an upscale international hotel district so maybe there just isn't a big customer base for Chinese wines around my hotel. On the other hand, there were also many Chinese business people staying as guests in the same hotels as the international travelers so I'm not sure about this possible explanation (though perhaps Chinese business travelers tend to drink wine from better-known wine-producing countries?). Another theory (from an associate of mine who lives in Hong Kong) is that even though China produces a tremendous amount of wine, most of it is consumed closer to the areas where it is made (which would be quite far from a city like Shenzhen). But 11.4 million hectoliters made annually and I can find hardly ANY in modern, tier-1 city like Guangzhou? Let's consider it this way, the US produces more than twice as much wine as China and has a population of about a quarter of China. So per capita wine production in China is less than an eighth of what it is in the US. That could help explain the lack of readily available Chinese wine I experienced. While pondering all this, I continued my quest at a large downtown grocery store where I finally came across a modest selection of Chinese wines (within a significant international wine department). Giddy with a sense of accomplishment, I purchased three bottles—all reds. When it comes to color, Chinese wine drinkers choose reds over whites the vast majority of the time even though the cuisine is almost always better suited to a white wine of some sort. Perhaps this is because red is such an auspicious color in the Chinese psyche (symbolizing good fortune and happiness). Chinese consumers are also attracted to European luxury brands and so gravitate toward wines from Bordeaux (arguably the most powerful “brand” in all of wine) where the majority of the output is red. 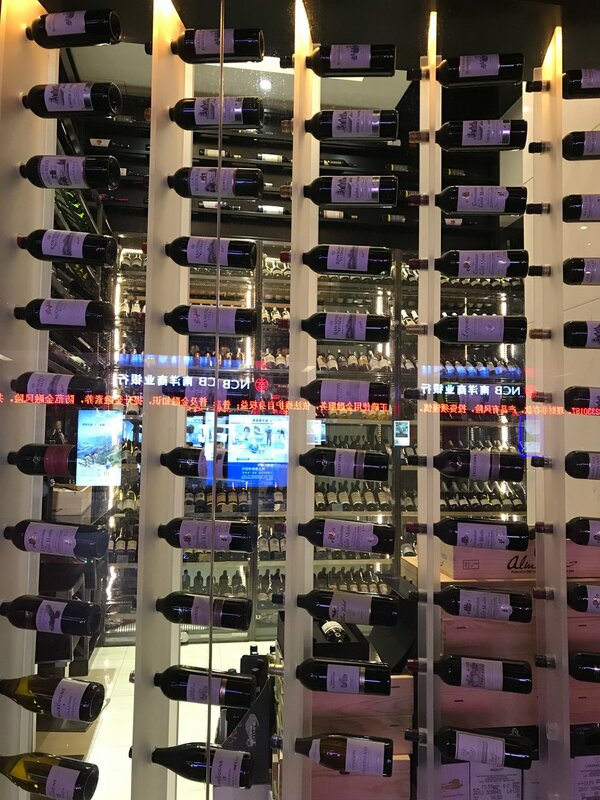 I've also heard it said by locals that the popularity of French red wines in China is partially due to the way France's reds were so heavily marketed to early adopters of wine in China. 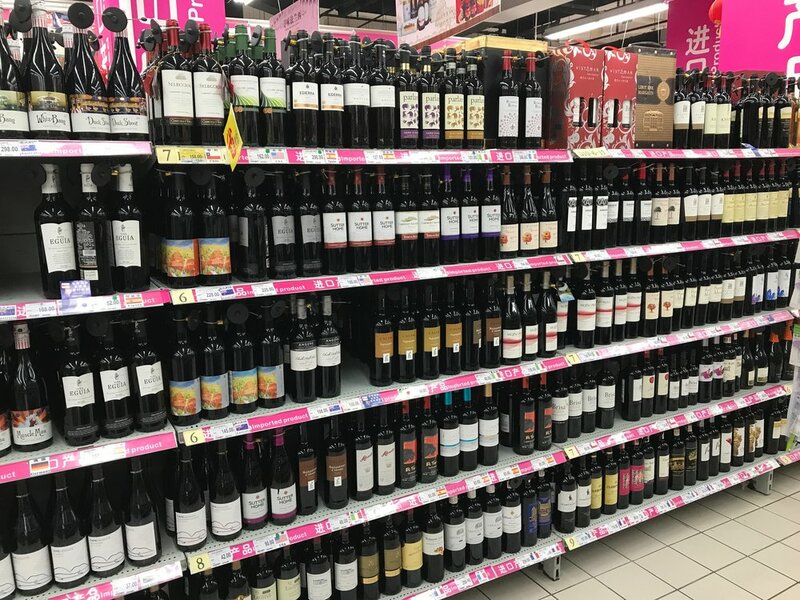 Can you find your favorite wine in a Chinese supermarket? Or possibly your least favorite? You can get any color wine you'd like in China so long as it's red. Two of the three wines I purchased proved perfectly drinkable (though perhaps overpriced). Interestingly, none indicated the year the grapes were grown. The bottles were not dated (non-vintage) which means the wine is blended from multiple years of harvests to ensure consistent quality when individual growing seasons don't go so well. This is likely a sign of the early developmental stage of the industry (or perhaps the level of Chinese wines to be found in supermarkets). On the most important topic of quality, one of the three wines I purchased in bottle was impacted by the Brettanomyces yeast which many wine drinkers would prefer not to meet in a dark alley (though some enjoy it in limited amounts). The other two wines I tasted were perfectly respectable. At around $25 a bottle, however, I expected a bit more. A Chinese associate of mine told me these wines cost far less just a few years ago. Apparently, the prices increased dramatically as the brands became better known. The Changyu and Great Wall brands received significant attention when featured on menus for Barack Obama's visit to China in 2009, for example. My Chinese friend's own view is that international wines are now the better value. Which seems a reasonable conclusion based on my limited buying and tasting experience. This discerning gentlemen knows his wine. In this case, a Cabernet Gernischt (AKA Carménère). No box, but not too shabby in the taste department. An oaky Merlot with dark cherry and clove notes. Cab Sauv (and a box to keep) with a strong aroma of “Brett” (remember the smell of bandaids from childhood?). Eventually, I was able to find two vintage-dated Chinese wines available by the glass at a hotel restaurant. This was a much easier way to experiment and provided my first opportunity to try a white wine from China. 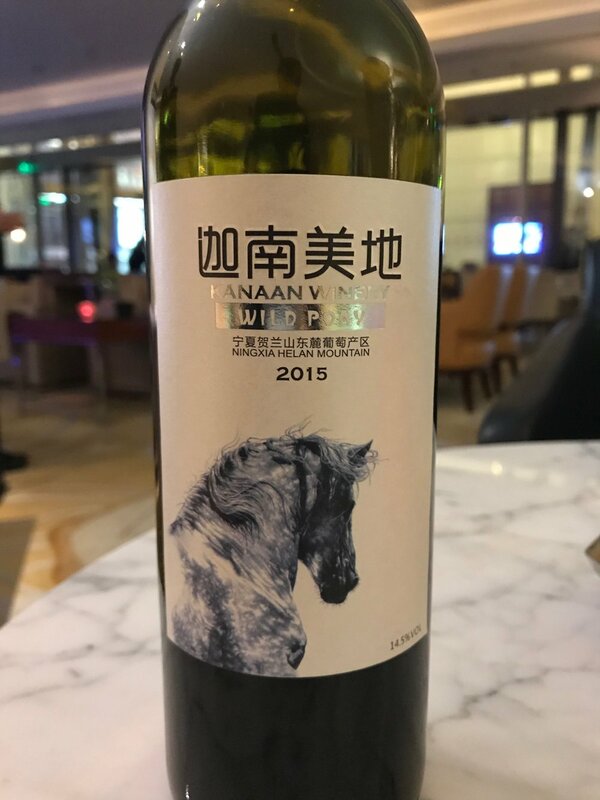 Both of these wines from the Kanaan Winery were grown and made in the far north-central region of Ningxia, where quality wine production is concentrated in China. This is a tasty enough riesling but with 14% ABV AND obvious residual sugar, it confused my palate a bit. A very low-tannin red blend from Kanaan with boysenberry and oak. Not remarkable but perfectly drinkable. What is my conclusion about the state of Chinese wine? Quality will almost certainly improve over time. And to be competitive, it will need to (as will prices need to drop). Current production volume may seem high in comparison to more traditional and historical wine producers like Portugal, but it has actually decreased slightly over the last few years and is quite modest on a per capita basis. So if you're concerned about Chinese wine suddenly flooding the world market, I think that would be an unnecessary fear. A significant investment over a noteworthy period of time will be required before Chinese wineries are ready to have an impact on the world wine market in consistent quality or quantity. We’ll hope for an increase in white wine production along with a move toward artisanal winemaking alongside the factory approach most obvious currently. In the end, like so many aspects of China’s place in the world, we’ll have to wait and see where this goes. Stay tuned. What Chinese wine pairs with this monstrosity? Regardless, if you’re worried that China is about to take over the world, this should put your fears to rest. We drink Vinho Verde with lo mein. And we love a good wine surprise. Have one to share? Email us!